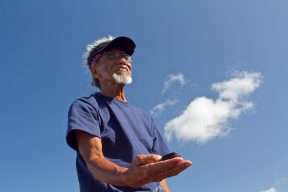 Source: CIVIL BEAT – OCTOBER 9, 2015 · The Enduring Song of Uncle Henry Chang Wo Jr.
We’ve lost a man who inspired the old and the young to help Hawaii regain its environmental health. On Sept. 19, we said goodbye to Uncle Henry Chang Wo Jr., who succumbed to a sudden and unexpected struggle with cancer (caused by mesothelioma). 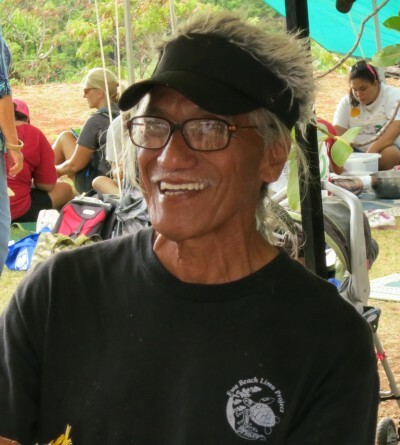 Uncle Henry was a founding member of the E Alu Pū network, a 13-year-old statewide grassroots mālama ʻāina network with a vision to collectively build an environmentally abundant and healthy future for communities and the places they most depend on for sustenance. Uncle Henry was also the inspiration for the Limu Hui: a small but growing network of kūpuna who have started to meet, to discuss limu and tradition and how limu might return in abundance to where it now dies or is absent. For much of his life, Uncle Henry advocated for the Ewa community, and more specifically for the limu of that community. Witnessing the decline of limu in Ewa, he worked tirelessly to call attention to the detrimental effects of government policy and development projects to limu and to the nearshore marine environment. READ MORE: CIVIL BEAT – OCTOBER 9, 2015 · The Enduring Song of Uncle Henry Chang Wo Jr.
Kuaʻāina Ulu ʻAuamo staff members Miwa Tamanaha, Brenda Asuncion, Alex Connelly, Wally Ito and Lauren Muneoka contributed to this piece.